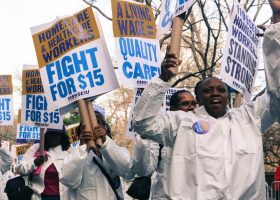 RaiseTheMinimumWage.org is a project of the National Employment Law Project. Stagnant income is the crisis of our time. 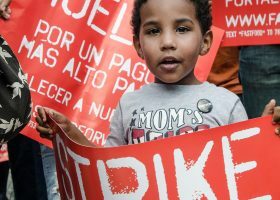 Thanks to the productivity of America’s workers, the US economy is nearly twice as large per capita as it was in 1980—but most families have nothing to show for it. Corporate profits as a share of our national income are at an all-time high, while wages are at a 65-year low. 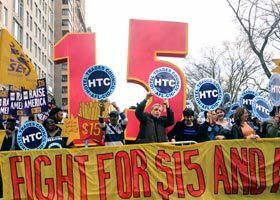 Raising the minimum wage is one of the best tools we have to lift incomes and grow our consumer-driven economy. But in the past 40 years, the federal minimum wage—stuck at $7.25 since 2009—has lost 30% of its value. 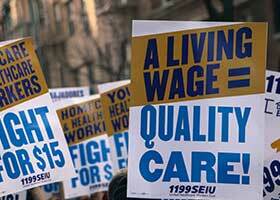 NELP is fighting for wages that families can live on, and an economy that works for all of us. 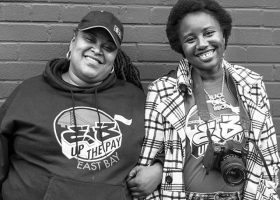 We partner with grassroots and national groups to raise worker pay around the nation. 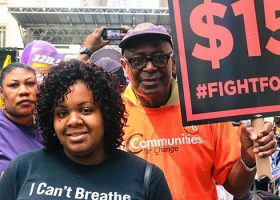 We support wage campaigns by providing policy and legal expertise, strategic communications support, research and analysis, and campaign coordination. We have answers. Get to know the facts.